Manufactured By – "El Virrey" Industrias Musicales S.A. Distributed By – "El Virrey" Industrias Musicales S.A. 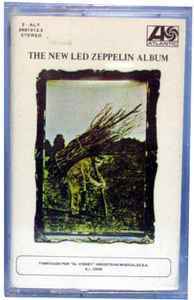 This release was commonly referred to as 'Led Zeppelin IV', to follow in sequence with their previous three releases. Titles in both Spanish and English on inlay..